We work to preserve and restore the wild landscapes of the Middle Deschutes and Lower Crooked Rivers and Lower Whychus Creek through stewardship, outreach and education. Friends and Neighbors (FANs) of the Deschutes Canyon Area was founded in 2011 by landowners surrounding the Deschutes Canyon-Steelhead Falls Wilderness Study Area in Central Oregon. We came together over our shared love of nearby public lands, including special places such as Steelhead Falls, Alder Springs, the Peninsula, and Scout Camp. Tom Iraci, FANs Board Member and professional photographer, created a video that shows some of our work and play, along with the beauty of the Deschutes Canyon Area public lands. Enjoy! This field guide includes the most common native plants on public lands near Crooked River Ranch in Central Oregon. This guidebook is small (8.25 x 4.5 inches) and durable, so you can take it on your hikes to identify native shrubs, bunchgrasses and wildflowers on the many trails around Lower Whychus Creek, the Middle Deschutes and Lower Crooked Rivers. Organized by bloom time, this field guide is especially helpful in February through September. FANs of the Deschutes Canyon Area member price is $10 and non-member price is $12. Your purchase helps support FANs projects that preserve and restore public lands in the Deschutes Canyon Area. 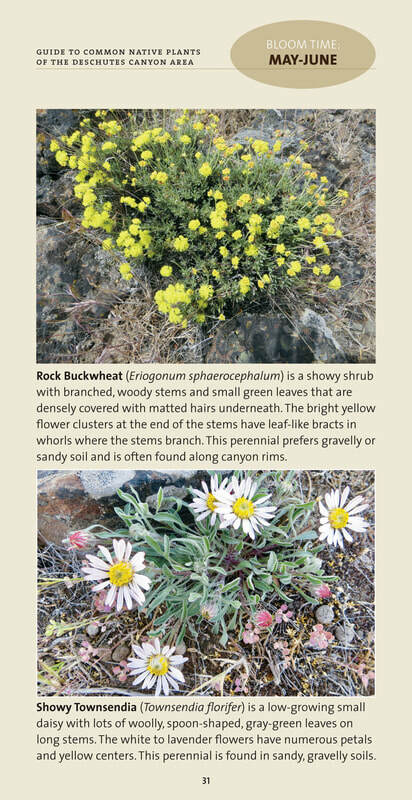 CLICK HERE to learn more and order Guide to Common Native Plants of the Deschutes Canyon Area. FANs is a local stewardship organization based at Crooked River Ranch (CRR) that was started six years ago by neighbors who love the incredible river canyons bordering CRR and believe in the importance of local involvement in managing public lands. With our nearly 400 members and an additional 600 participants and volunteers our mission is to preserve and restore the wild landscapes of the Whychus-Deschutes area, which includes the Deschutes Canyon-Steelhead Falls Wilderness Study Area (WSA) that will be impacted by HR 2075. FANs has long recognized the need to implement fire risk reduction measures on both public and private lands in and around CRR. FANs worked for over a year with others in the community, including the fire chief, the homeowners association board President, and the appropriate federal agencies, to develop a collaborative concept that would ensure CRR is better protected from wildfire while also resolving the status of the entire WSA, one of the most scenic, wild places in Central Oregon. A concept emerged that is a true win-win solution. This approach would result in fire risk mitigation activities in the form of fuels treatment on BLM lands adjacent to CRR, wilderness protection for certain qualified public lands, and release of certain lands from WSA status. Our organization is not opposed to WSA release. In fact it was FANs representatives on the working group that introduced the idea as a part of the collaborative process. But we have several serious concerns about the approach of HR 2075. Removing 832 acres from the WSA alone will not insure that necessary fuels reduction to reduce fire risk will take place and the fragile rim habitat will be protected. FANs believes that the released lands should be designated as a special management area to prioritize fire prevention and define appropriate and responsible recreation for the area. Abandoning the local stakeholder process, HR 2075 simply adopts a single recommendation while ignoring the remainder. FANs believes that this action ignores Oregon’s long history of balanced and locally-driven legislation that enjoys broad support. The bill does not resolve the status of the public lands currently managed as the Deschutes Canyon-Steelhead Falls WSA. FANs believes that the land that would remain after the release of the 832 acres should be permanently protected as wilderness. 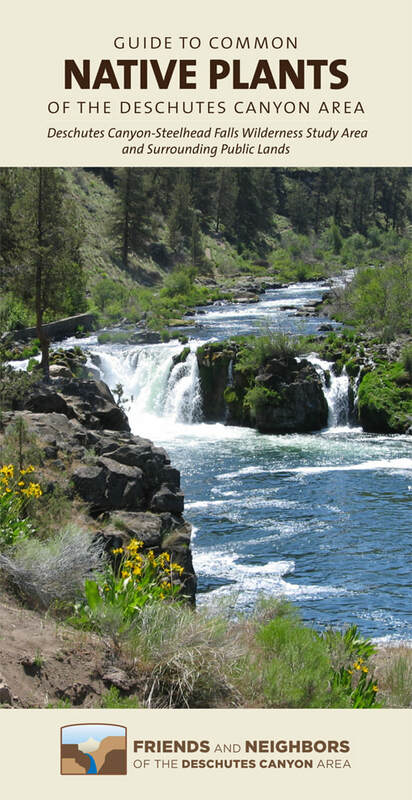 The bill does not address protection for lower Whychus Creek, a tributary of the Deschutes River. Many organizations are working to preserve this Central Oregon jewel including the Deschutes Land Trust that has acquired much of the private land holdings. FANs believes that the lower reaches of Whychus Canyon need to be permanently protected as either wilderness or a wild and scenic river. Although the public lands impacted by HR 2075 are located in our backyard at CRR, Whychus-Deschutes contains outstanding recreation opportunities, one of the highest concentrations of cultural sites and artifacts in our region, and critical habitat for native plants, fish and wildlife. All of these resources are currently threatened by illegal off-road vehicle abuse, recreation overuse, and vandalism. Certain public lands in this area need and deserve permanent protection. Finally, we need to ensure land managers have the direction and the resources to tackle these complex and serious issues. We believe a comprehensive solution based on true local collaboration is possible for this area. I urge the committee to expand this bill to address the concerns of all the stakeholders of this incredible wild landscape. ​CLICK HERE to read Marilynne Keyser's HR 2075 written testimony. April 27, 2019, 4:00 p.m.
​Shackleton’s Antarctic Nightmare is the gripping, heart-breaking, true story of British explorer, Ernest Shackleton, and the Trans-Antarctic Expedition of 1914. Shackleton’s dream of being the first to cross the Antarctic continent on foot became a nightmare when his valiant ship, The Endurance, was crushed in the pack-ice of the Weddell Sea. The story of how he and the 27 men of the expedition survived on the ice and eventually came to safety is an epic tale of hardship and suffering, of courage, determination and fortitude. ​CLICK HERE to learn more and register for this event. Portland Story Theater's Lawrence Howard takes listeners on a journey through the rich landscape of story. May 11, 2019, 10:00 a.m. - 12:00 p.m.
join Friends and Neighbors of the Deschutes Canyon Area and weed experts from Jefferson and Crook Counties for a free workshop that will help you manage invasive weeds on your own property. You are encouraged to bring weeds to the workshop for hands-on consultations with our experts. You will be provided with free color copies of all the material covered during this program. ​​​CLICK HERE to learn more and register for this event. All guided hikes are free. To help reduce damage to the trail, minimize social impacts on other visitors, and protect wildlife habitat, group size is limited to 10 hikers, and dogs are not allowed. Registration opens one month before each hike. If the hike is full, sign up on the wait list, and you will be sent an invitation via e-mail if a space opens. If you have to cancel, send us an email at fansofdeschutes@gmail.com. This will open up the space for another hiker. Friday, April 26, 9:00 a.m. - 1:00 p.m.
​​CLICK HERE to learn more and register for this hike. Saturday, April 27, 9:00 a.m. - 12:00 p.m.
Tuesday, May 7, 8:00 a.m. - 11:00 p.m.
Saturday, May 11, 8:00 a.m. - 10:30 a.m.
Monday, May 20, 8:00 a.m. - 11:00 a.m.
* Indicates easy hike for all abilities. Tom Iraci, photographer and FANs board member, created a slideshow titled "Beauty in the Canyons," featuring images from the Deschutes Canyon Area. Click the blue button below to view this spectacular slideshow.